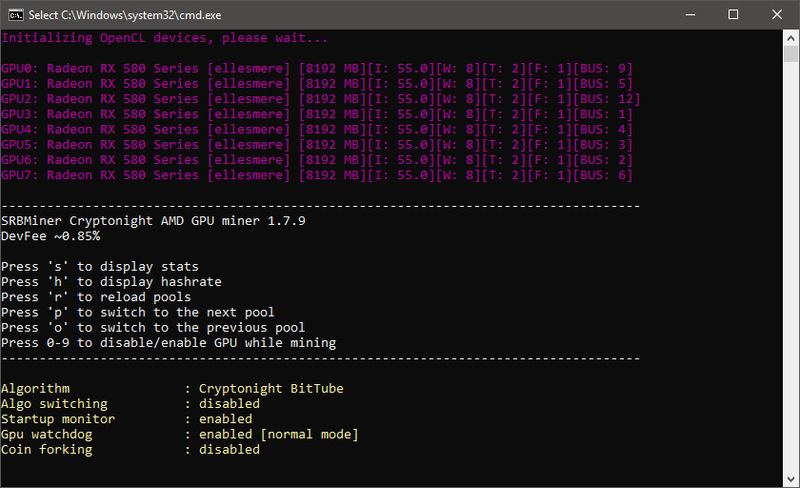 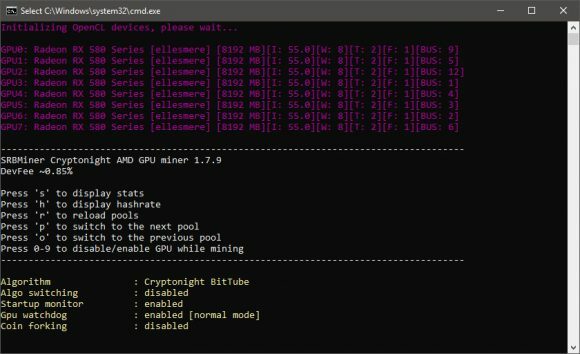 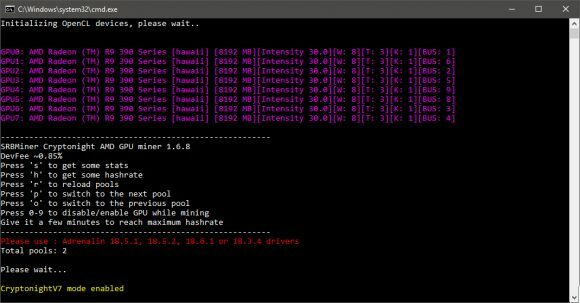 The latest update to the CryptoNight AMD GPU miner SRBMiner to version 1.6.8 brings support for a new mining algorithm – CryptoNight V8, this will be the new algorithm used by Monero (XMR) as Monero will fork on block 1685555 (around October 18th), so make sure you are ready to mine it after the fork to the new algorithm. 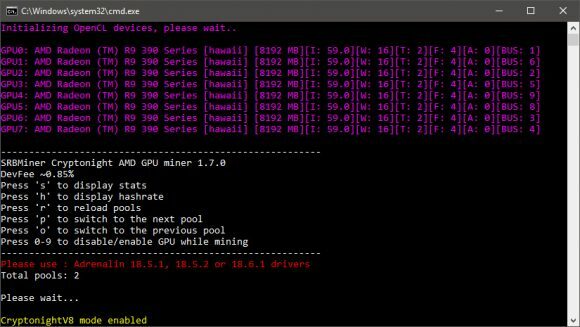 The miner should now start up a little bit faster and there are some small performance improvements on some video cards. 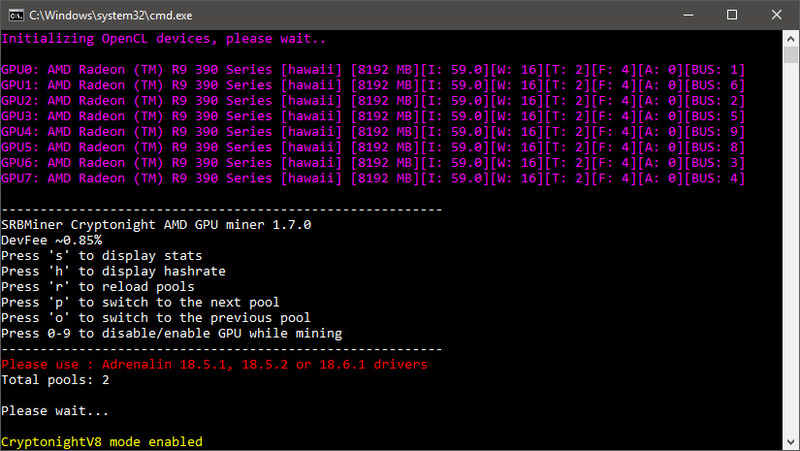 Also note that the developer fee is now ~0.85% for both normal mode and algo switching mode in the new version. 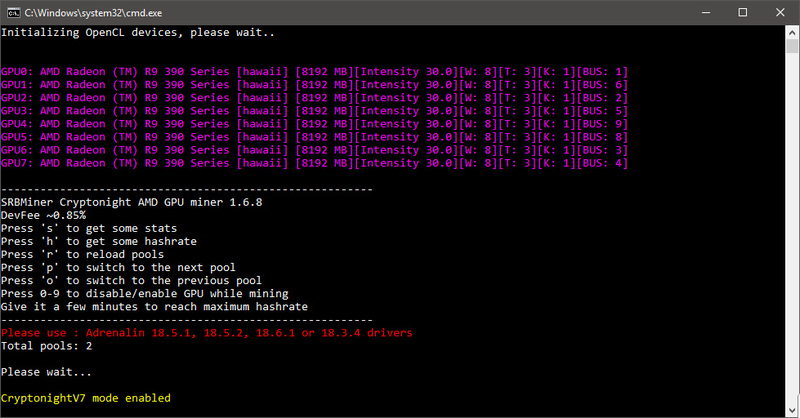 There are also a number of other fixes and improvements, you can find the full changelog below.